What kind of Mom would I be if I didn’t write a blog post about my daughter’s 1st Birthday?!? Truth is, I don’t know how much of a blogger I am these days. Before Quinn was born, I think I had this vision I would be staying home for at least the first 3 months and have all this time to blog, if not about food, about the experience of being a mother. Ha. As it goes for most first-time parents, things turned out a little differently than I expected. 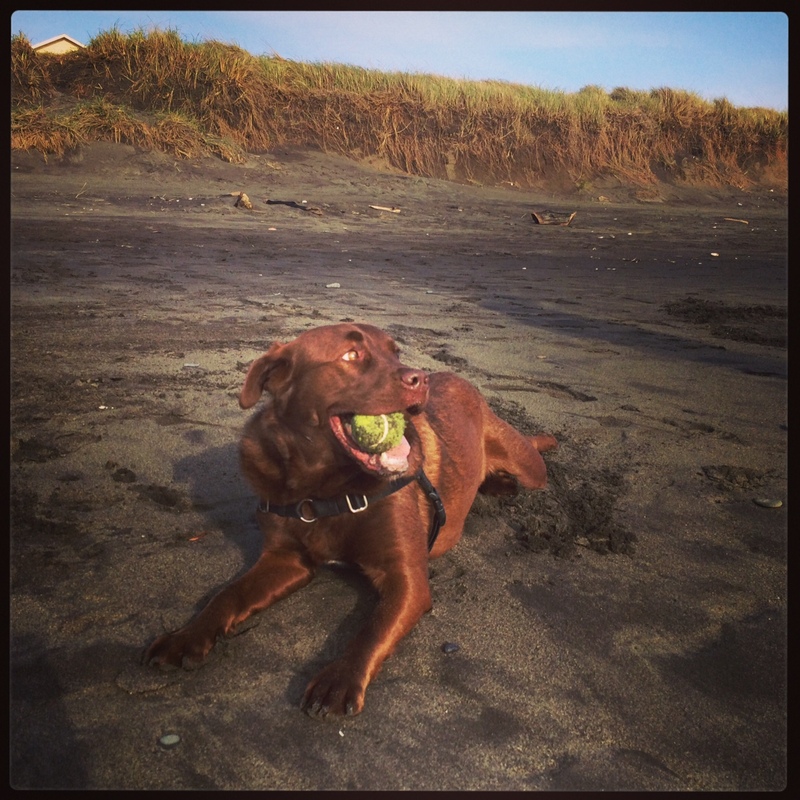 What do you do for your dogs 2nd birthday? 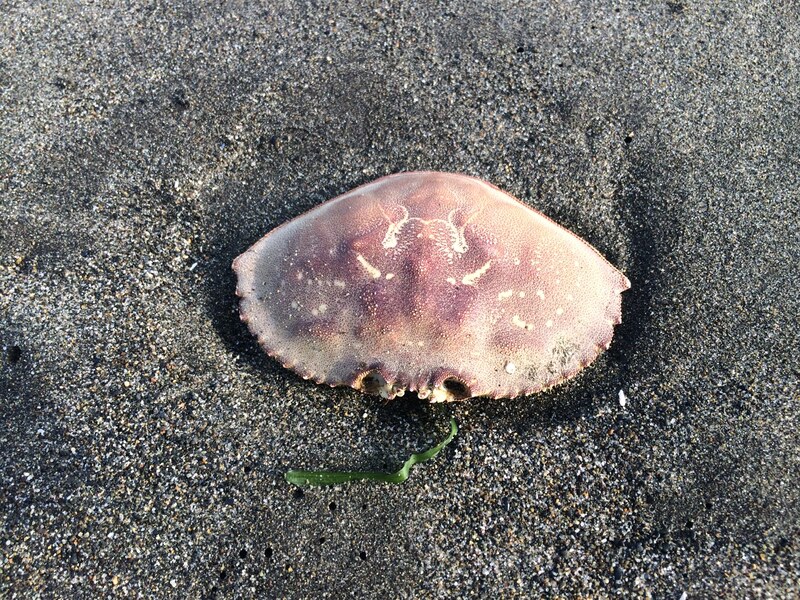 Take him to the beach…Obviously! 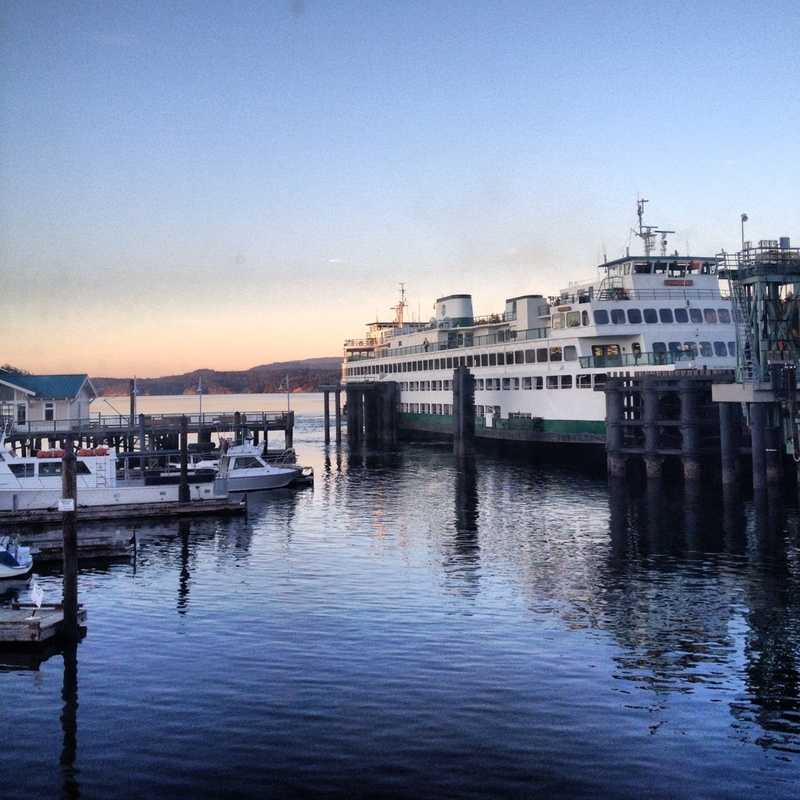 View from dinner at The Place in Friday Harbor. To start off my wonderful evening, Jordan and I went to The Place for dinner. It’s a place (ha) we’ve saved for a special occasion, and it was worth the wait! Wonderful views, wonderful food, perfect atmosphere. 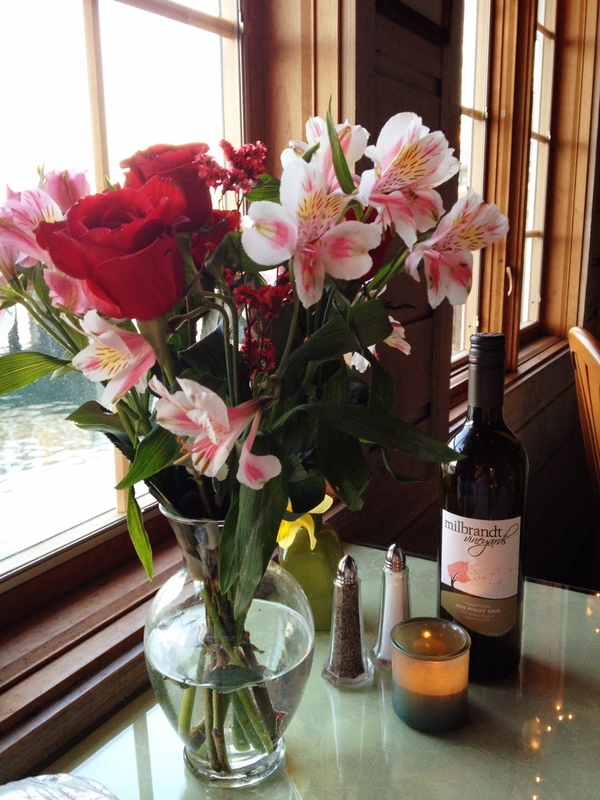 Did I mention flowers and wine were already awaiting me when we sat down to the great view? Sigh, at this very second I wish I could go back to this night right now. 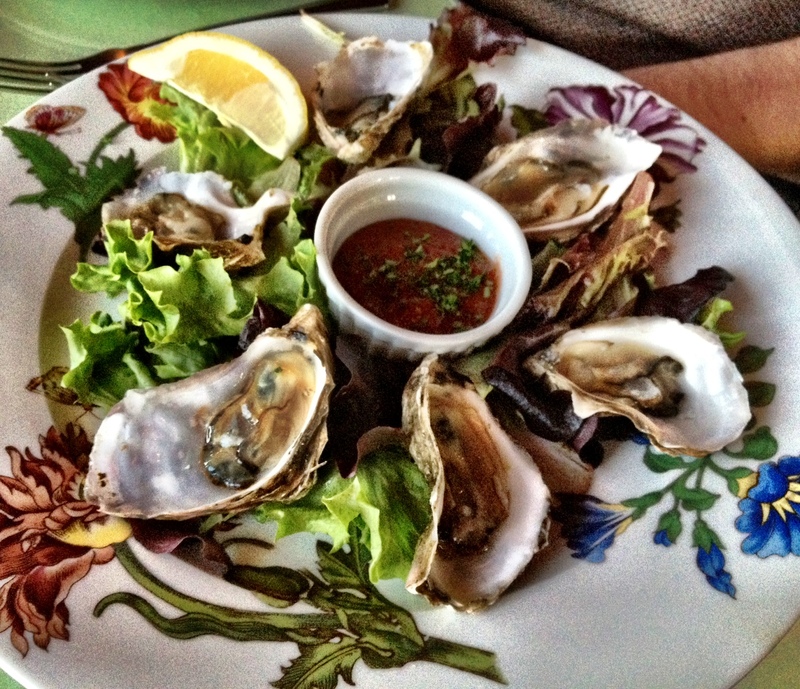 our meal started off with fresh oysters…always a favorite! When I think back on it, this was a perfect meal. Not too heavy, fresh, local, light…and ended with a perfect surprise dessert (by then it was too dark for a picture, but if you must know if was lava cake with a salted caramel sauce, aka heaven). I seriously want to cry, writing this almost a month later. It was just so.good. What I had…The special of the night. 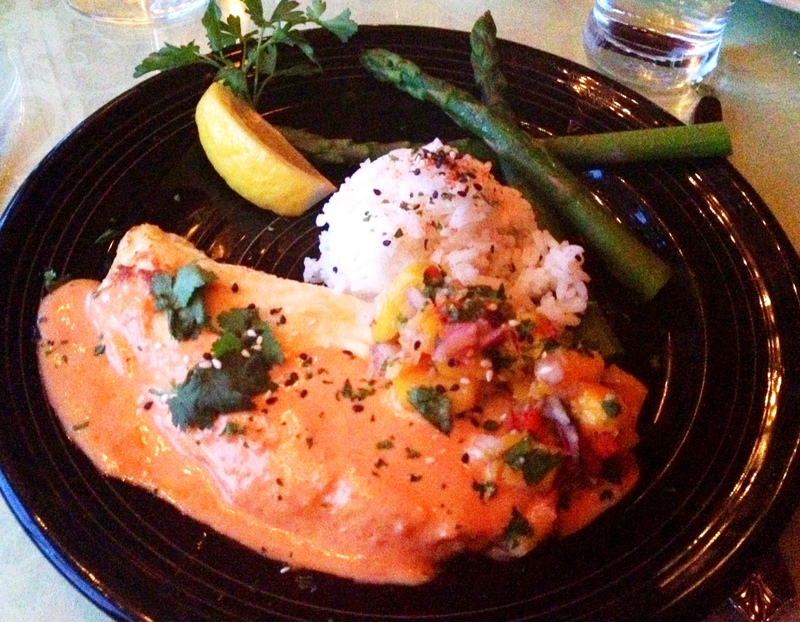 A halibut with a curry sauce. 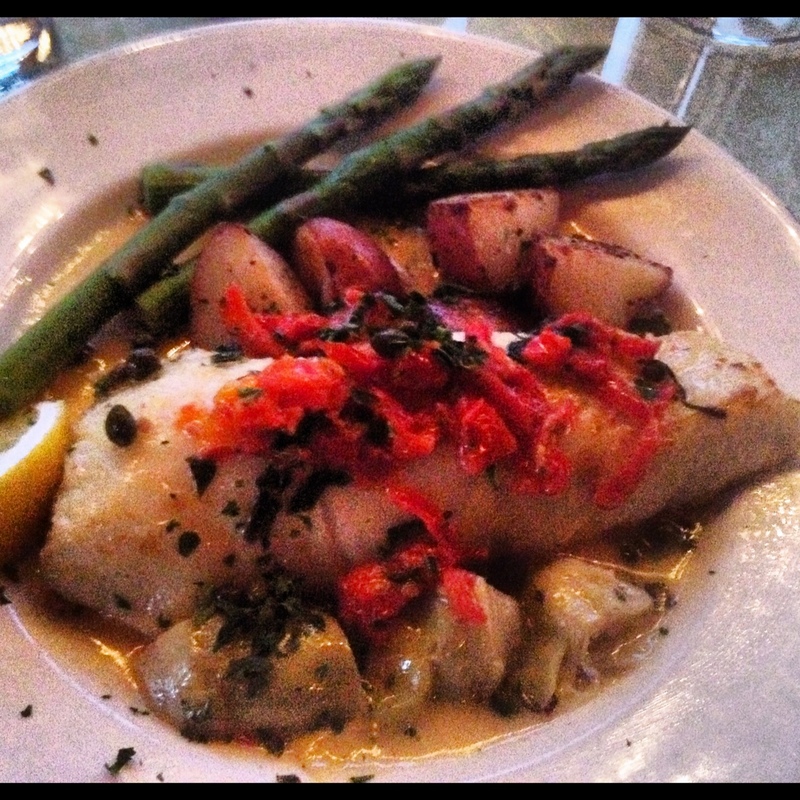 The special that evening was halibut prepared two ways. One Thai style, one Italian style. I went with the Thai and Jordan went with the Italian. Both were so good – one of those things where you take a bite of one and say, “I think this one is better.” Then you take a bite of the other one and say, “No I think this one is better!” It was a total tie. 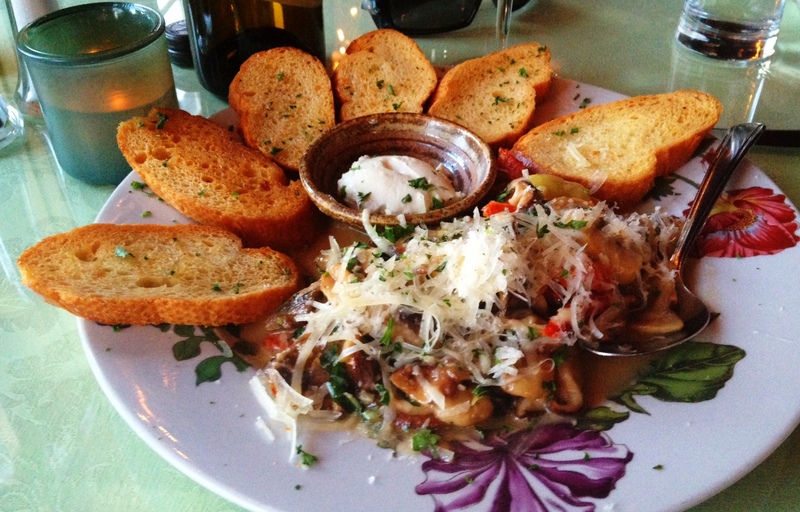 Jordan’s dish – Halibut “Italian Style.” Sorry about the blurry picture. A lot of wine had been consumed at this point. Seriously. Such a great night. Several friends caught a later ferry and met up with us that night. We hit two (out of about 4 or 5) downtown Friday Harbor bars. Haley’s and China Pearl. I don’t really have any photos to share of that…unless you want to see lots of karaoke and shots of Fireball. The next day we did the usual Island routine – driving around and exploring on a beautiful day. 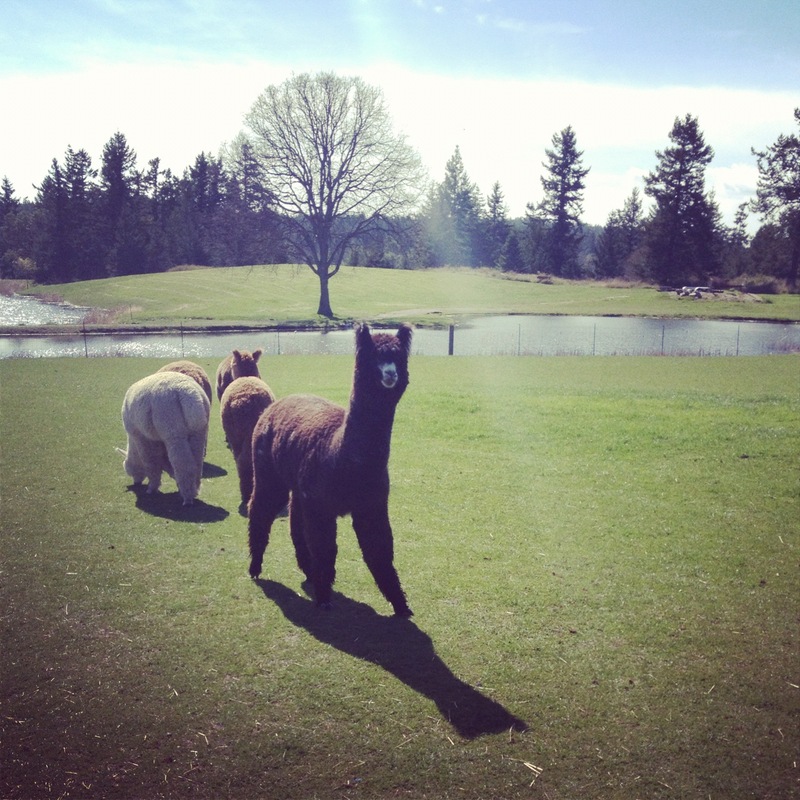 One great place to stop at is the Krystal Acres Alpaca Farm. Most people discover it by mistake when they drive by a field with tons of cute little Alpacas just hanging out in the grass. You can drive down, park, and see them up close. Plus there is a Country Store with goods made from Alpaca Fur…and then there is an interesting gun store next door which is totally weird. But don’t you want to go after seeing how cute the guy is below?